A pre-inquest hearing into the deaths of the 22 victims of the Manchester Arena suicide bombing will go ahead on Friday, the city's coroners office has confirmed. A notice on its website stated it had been postponed to a be a date to be confirmed in early 2018 as the "evidence gathering process is still ongoing". On Thursday, HM Coroners Office for Manchester City Area told the Press Association the website was incorrect and was being amended. The hearing will take place at Manchester Town Hall at 10.30am on Friday, said the office. 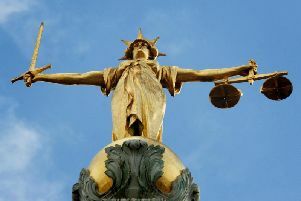 The inquests were opened and adjourned by HM Senior Coroner Nigel Meadows at Manchester Civil Justice Centre in June as brief summaries to the background circumstances of each of the fatalities from the May 22 atrocity were outlined. None of the families of the deceased attended the opening which lasted just short of an hour and was preceded by a minute's silence. A separate inquest is taking place into the death of bomber Salman Abedi, 22, which was also opened and adjourned in June. A further preliminary hearing of his inquest will take place at Manchester Town Hall on December 1. Abedi detonated the device at the end of an Ariande Grande concert with 353 people, including 175 children, around him in the foyer of the arena venue, police said earlier this month. As well as the 22 dead, 16 people were very seriously injured including paralysis, loss of limbs, internal injuries, and very serious facial injuries involving complicated plastic surgery. Two people remain in hospital, added police. A total of 512 people were either physically injured or left profoundly traumatised with 112 treated in hospital.